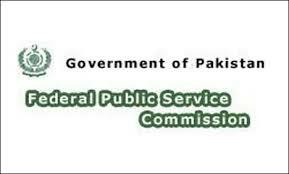 Federal Public Service Commission FPSC is Authorized by the Govt of Pakistan to Commencement of the Test for the FBR Jobs 2019 Federal Board of Revenue Islamabad. Because revenue division, federal board of revenue invites the application form for the preventive officer BS 16 permanent, from the applicants whose qualified, Competent, Interested and fulfilling the Eligibility Criteria, and Terms and Conditions. These jobs are offered the jobs by the Federal Board of Revenue Islamabad for Both male and female candidates. Candidates must the apply for the Federal Board of Revenue Islamabad jobs 2019 on the Federal Public Service Commission FPSC Online. You must register first on FPSC and then you enter your details about your personal information and then enter the Qualification details and Experience on FPSC. Once your Application form submission Procedure will be completed then you will think about roll number slips but we advice you that you should not wait only for the Roll Number Slips, But you must start preparations to clear the FPSC exams for jobs 2019. So we are offering the Online Preparations of FPSC test of Federal Board of Revenue Islamabad jobs 2019. Second Class or Grade ‘C’ Bachelor’s Degree from a recognized university with Economics, Commerce, Statistics, Accounting, Computer Science, Law, Pharmacy, Chemistry or Physics as one of the subjects or B.Sc Engineering in any specialty. Computer literacy up to the level of MS Word, MS Power Point and MS Excel. AGE LIMIT : 20-28 years plus five (5) years general relaxation in upper age limit. Number of Vacancies : Sixty (60). Domicile Quota : Merit=Five, Punjab=Thirty (Open Merit=Twenty Five, Women quota Three and Minorities/ Non-Muslim quota= Two), Sindh (Rural)=Seven (Open Merit and Women quote one), Sindh (Urban)=Five (Open Merit=Four and Women quote one), Khyber Pakhtunkhwa=Seven (Open Merit=Six and Women quote one), Balochistan=Three, GBFATA=Two and AJK= One. (Both male and female candidates are eligible).